In order to support the surrender of the IPPC permit associated with the poultry farm a Phase I Desk Study report was required. The first stage of the desk study report was to review the site history using a combination of Ordnance Survey maps, aerial plates as well as street level imagery. The review of the O.S maps revealed the poultry sheds and a tank were erected between 1955 and 1976. No off site potential sources of contamination could be identified. 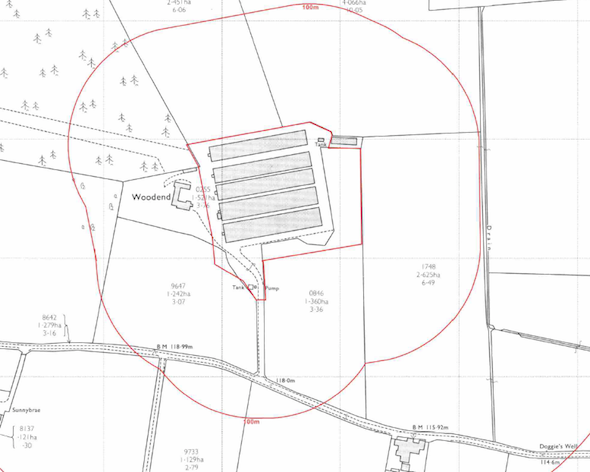 A review of data provided by Groundsure indicated that tanks were present on the site. 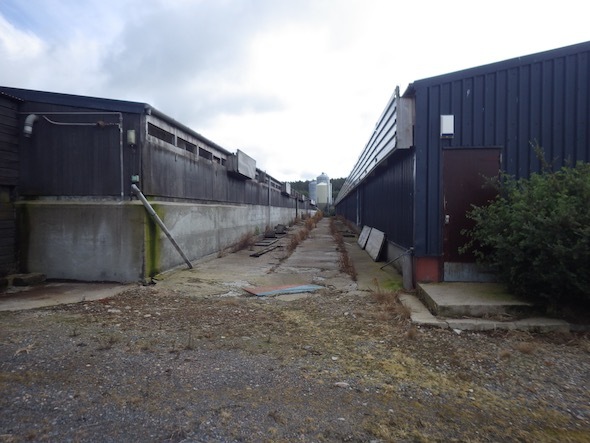 On completion of the desk based review, a site reconnaissance visit was undertaken, which revealed the site was occupied by five disused poultry sheds. 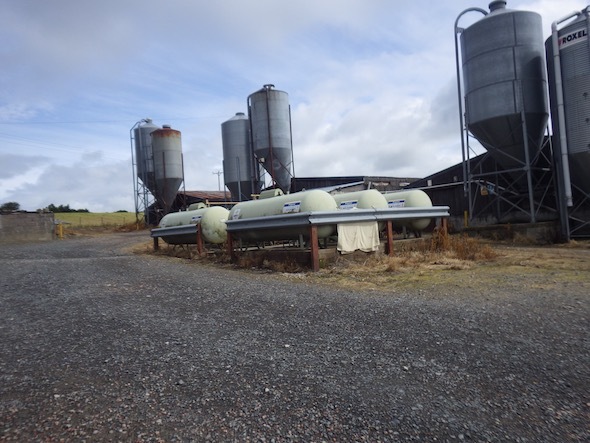 The tanks identified in the Groundsure data and O.S maps were inspected as part of the survey, the majority were grain silos and propane tanks, but a disused diesel tank was noted, there was no evidence of fuel releases (staining). A quantitative risk assessment was undertaken on the potential sources of contamination identified and it was concluded that there were no credible sources of contamination, hence the report concluded that no further works were required to support the surrender of the IPPC permit.